Course Website: Official Website - Visit Royal Aberdeen Golf Club's official website by clicking on the link provided. Accolades: Ranked 14th in Scotland by Golf Course Gurus. 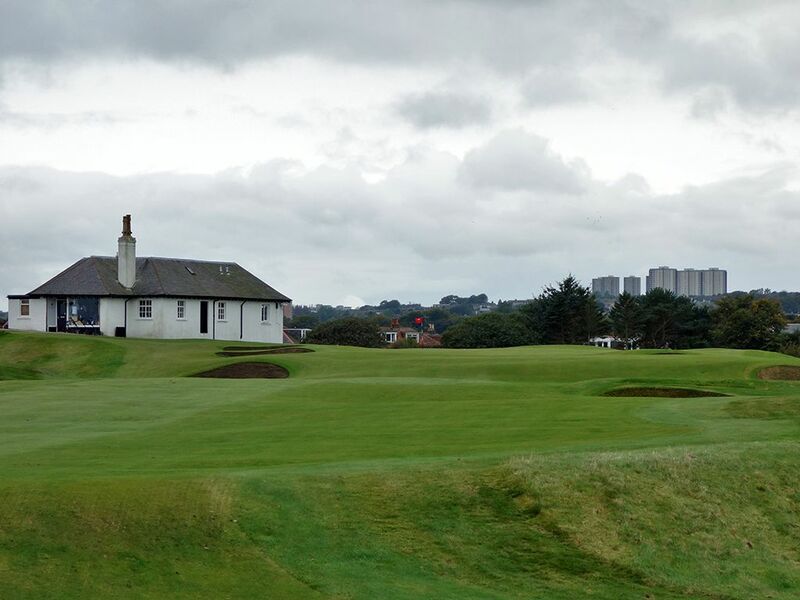 What to Expect: Royal Aberdeen is the tale of two nines. The front nine plays along the ocean although there aren't a lot views of the water given the size of the dunes that separate the beach from the course and since the holes play along the base of the dunes rather than on top of them. The back nine plays on higher ground that is a bit more inland, is more forgiving, and features less dunescape to contend with. The out and back routing is a bugger for playing in the wind since you'll generally be playing directly into the wind or downwind rather than enjoying a mixer of directions. 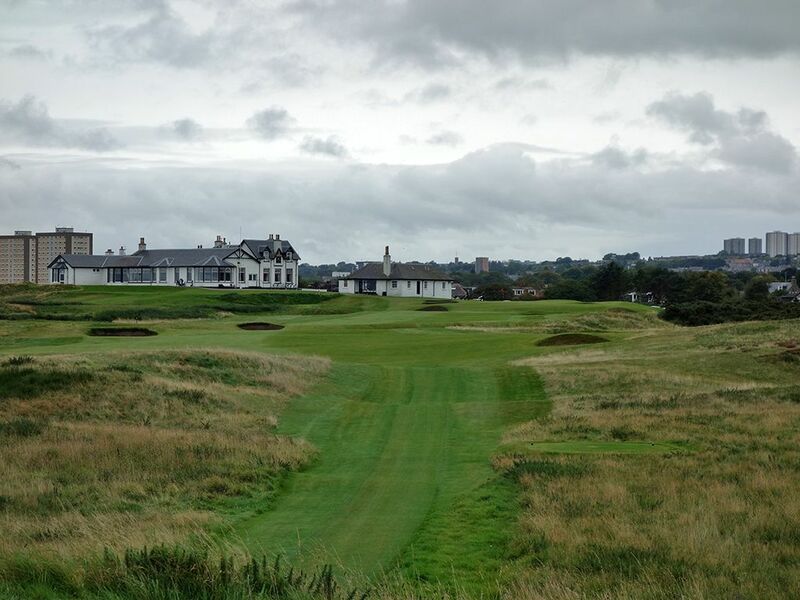 While Carnoustie has the reputation of being the most difficult course in Scotland, I thought Car"nasty" was flat out forgiving compared to Royal Aberdeen, especially on the front nine. 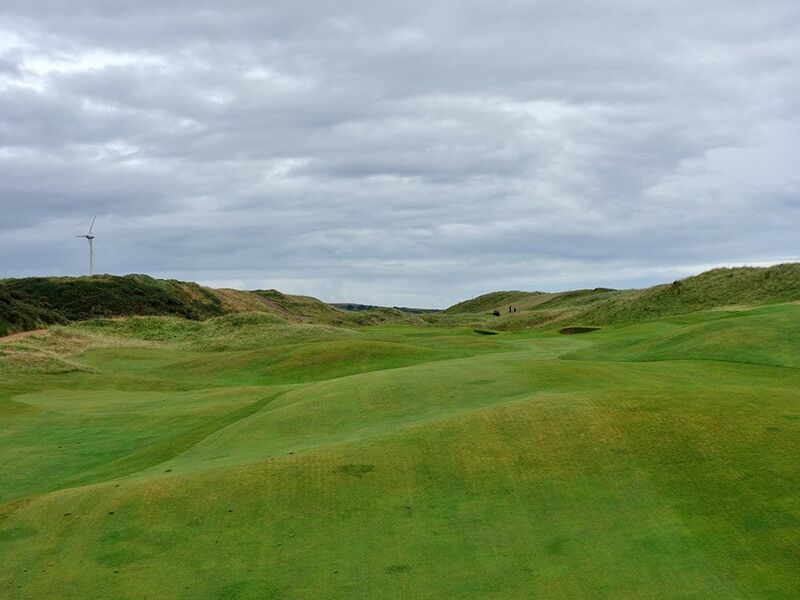 The outward nine at Royal Aberdeen features tight, undulated fairways that are framed by a thick collection of grasses that are quick to devour shots that glide offline. Green sites require extreme precision to navigate with many sloping edges and relatively small targets to attack. While the front nine features some great holes, consistently playing it would be considered self inflicted abuse by many and a rise in handicap by all. The inward nine is less dramatic for sure but more playable while still offering some strong architectural merits. 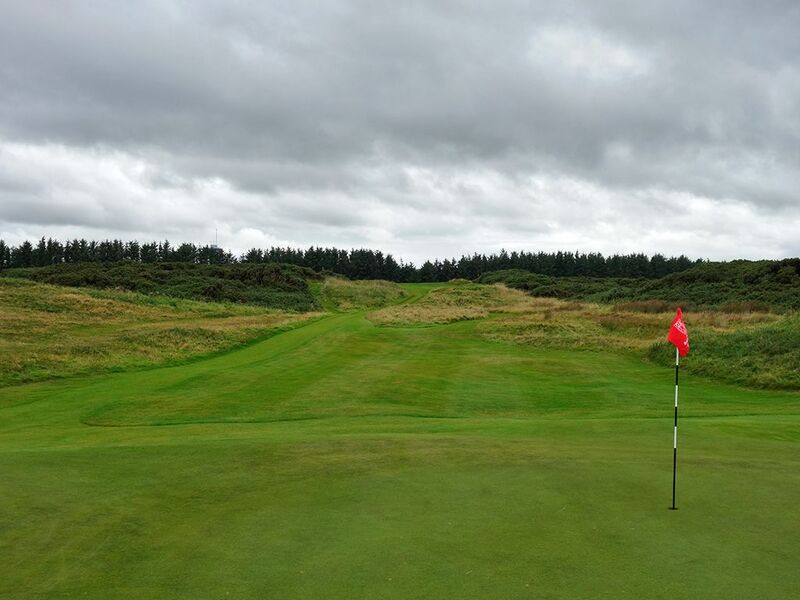 The opening hole of the back nine provides a great birdie opportunity while the closing hole is one of Royal Aberdeen's finest tests. Conditioning is solid and the flow from one hole to the next works really well which adds to the overall experience. If you play many places in Scotland you will certainly find more welcoming clubs with less ego, but the old school atmosphere and facilities feels like a travel back in time. In the end, consistently playing Royal Aberdeen will either force you to become a better golf or make you want to quit the game all together. 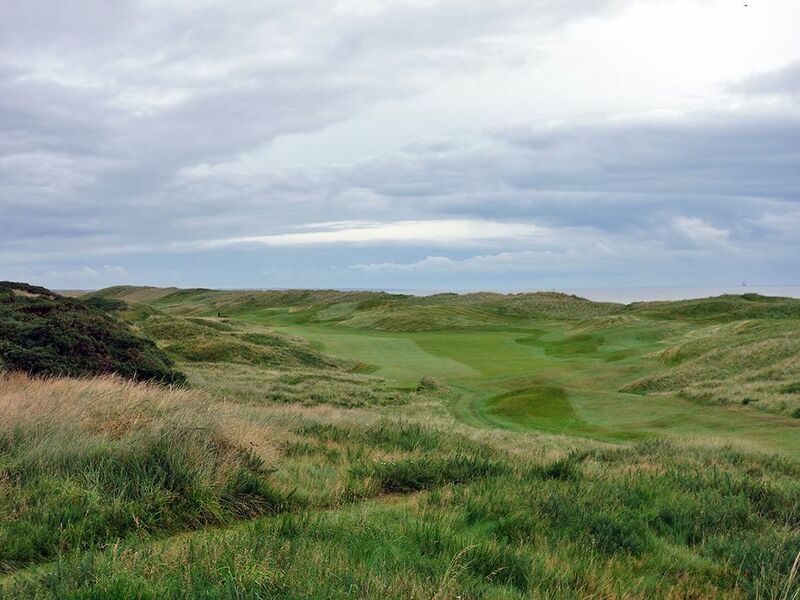 Signature Hole: 17th (Pots) Hole – 181 Yard Par 4 – Royal Aberdeen's final one-shotter is its finest as it plays straight towards the North Sea and delivers perhaps the best view on the course. 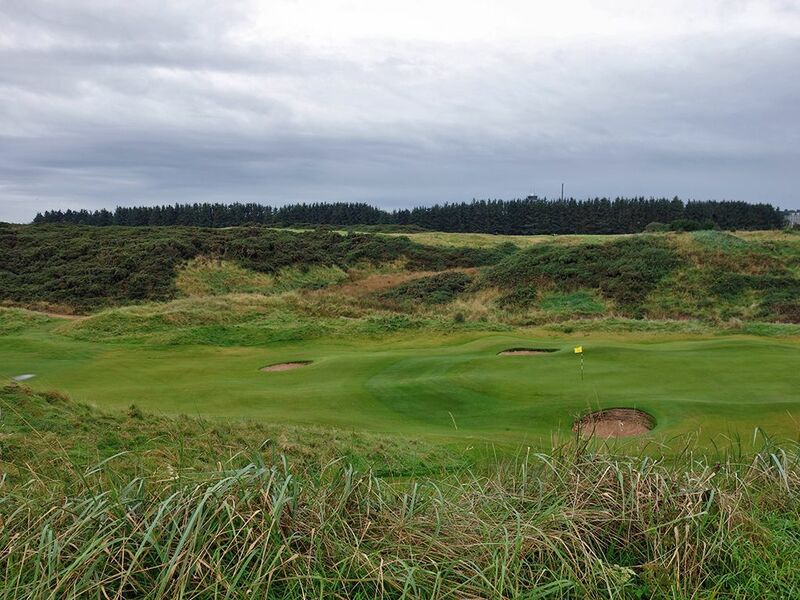 The triple tiered green is protected by five bunkers staggered across the the front and sides but unencumbered at the back third of the putting surface. With three tiers to navigate it is easy to three putt, but if you manage to stick your tee ball on the correct level then you could very well be looking at throwing a deuce on your scorecard. Best Par 3: 8th (Ridge) Hole – 147 Yards – The short 8th not only is visually appealing to play, it is a great opportunity to score well on. 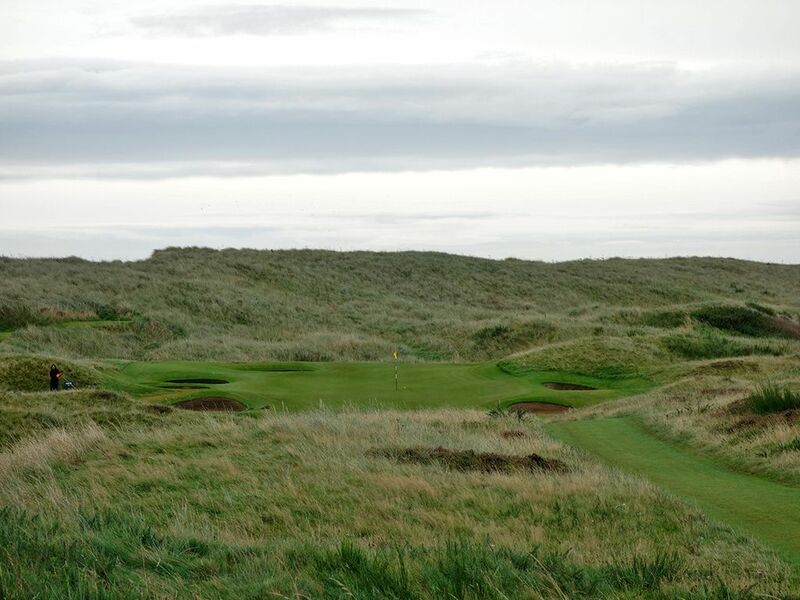 The green is set at the base of a fescue covered dune and is surrounded by nine bunkers, but with less than 150 yards to cover you should be feeling confident over the ball. Many players consider this one-shotter the course's signature offering with impressive visuals, the sea in the distance, and a perfect feeling of isolation. Best Par 4: 9th (End) Hole – 465 Yards – Tom Watson's favorite hole comes at the end of the outward nine with a long and difficult two-shotter. This dogleg right features an aiming bunker straight away that stands as a marker to hit a cut shot off of. Only a fool would challenge the dogleg in an effort to shorten the hole and thus bring in the thick fescue trouble lurking on that side of the hole. The fairway then climbs uphill the rest of the way home to a greensite tucked in the dunes with bunkering coming into play the whole way. 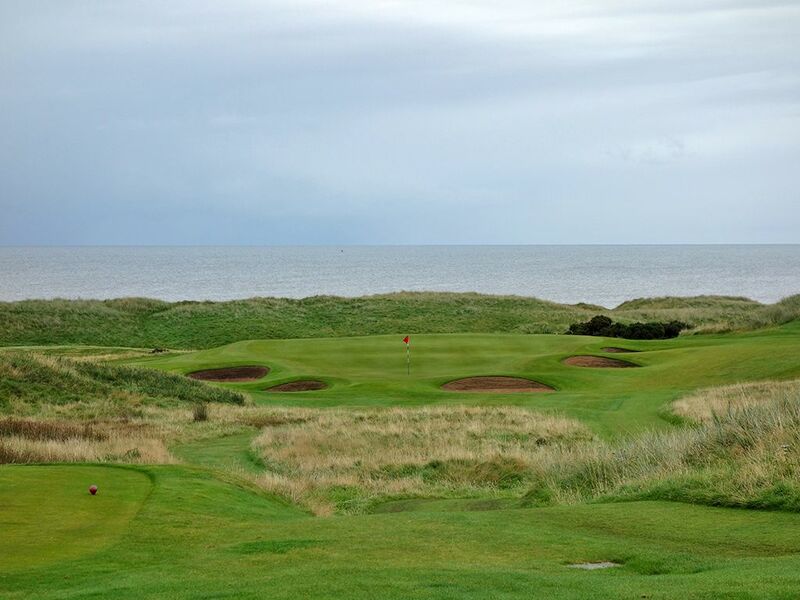 It is a naturally brilliant hole that embraces the essence of links golf. Best Par 5: 2nd (Pool) Hole – 558 Yards – One of the most natural holes on the golf course presents itself early in the round and what a beauty it is. 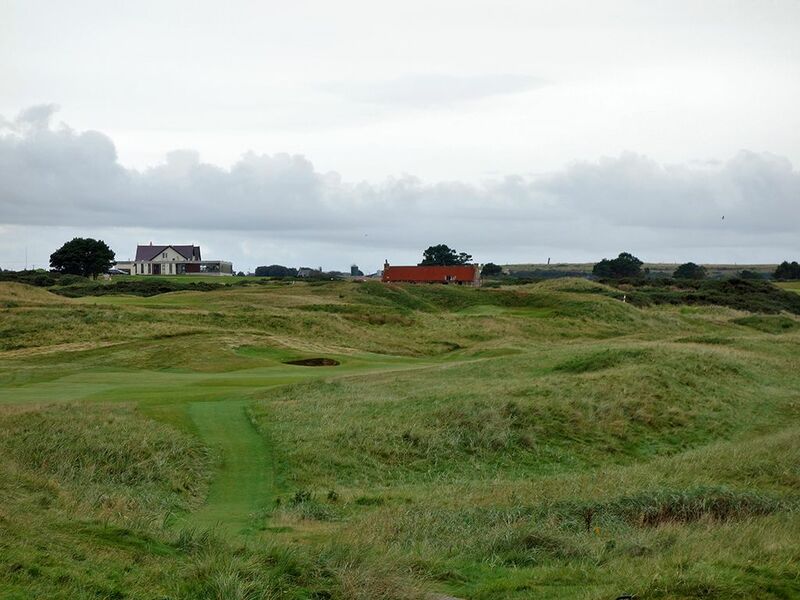 The fairway ribbons through the dunes with undulations that are sure to create uneven stances and lies to deal with. 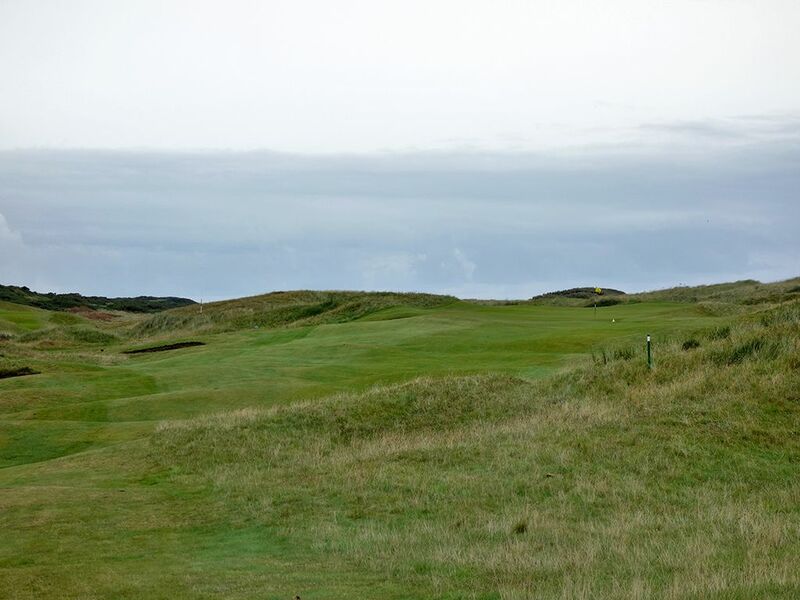 A sense of isolation is felt with the North Sea off to the right and a stroll through the fescue covered dunes that provides protection from the wind for the golfer, but not his ball. The lumpy green can be difficult to hold with run offs on the edges and interior contours that keep you guessing where your ball may finish. 558 yards is a decent length par five at sea level, but with all the trouble to contend with, a par here is a great score. Birdie Time: 10th (Shelter) Hole – 354 Yard Par 4 – One of the two totally blind tee shots you'll face is at the 10th, but don't despair, there is plenty of forgiveness on the other side of the dune you'll be hitting over. Two color coded barber poles are planted in the hillside to act as aiming posts and correlate to the color of tees you are hitting from. Upon finding the wide fairway you are presented with a pitch shot over a burn to the green where you only need to make sure you clear the false front to have a good look at birdie. For a hole with a blind tee shot, you will rarely find such a good scoring opportunity. 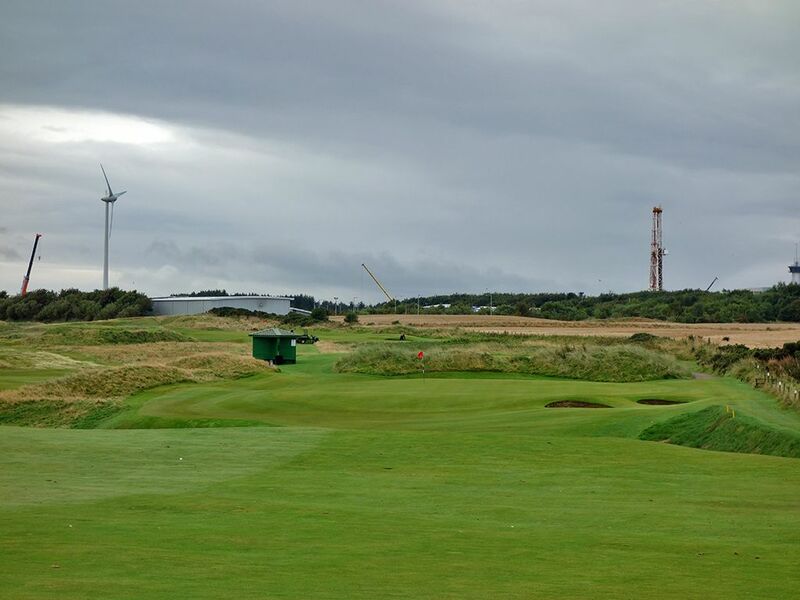 Bogey Beware: 18th (Home) Hole – 440 Yard Par 4 – Regarded by many as one of the finest closing holes in Scotland, Royal Aberdeen saves its best test for last. The fairway bunkers are instant score killers and appear to be able to be carried off the tee, but if you are playing into the prevailing wind they suddenly can became a threat. The approach shot plays just enough uphill to repel an approach shot that isn't struck perfectly which can be common considering the wind that is likely driving into your face. Five bunkers protect the green with two of them shorter than appears from the fairway which are strategically placed with the wind in mind. Hitting your approach shot to the back tier is a heroic strike indeed and worthy of applause from any onlookers. 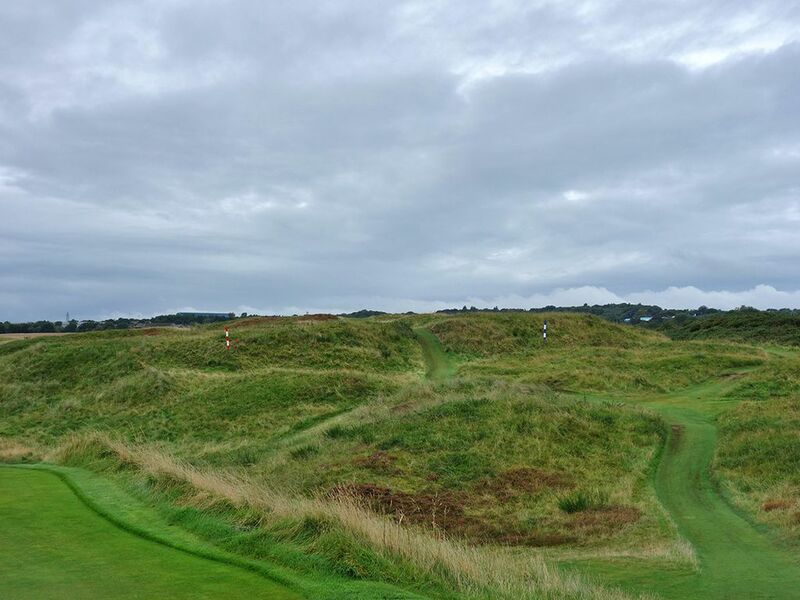 Many patrons play this hole as a par five and try to minimize the damage to a bogey; but you didn't come to Scotland to layup did you?